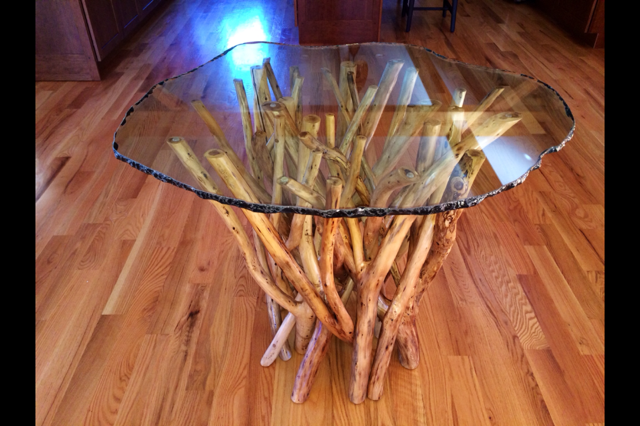 with branch cross member & spalted Burr Oak. The Spalting of Burr Oak looks quite well with leather. In this case the client requested cowhide. Soft European Leather or other fabric seats are available. These rustic dining room chairs can be created with leather or fabric back as well. 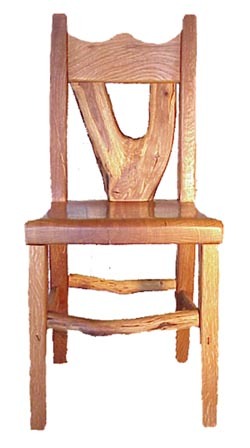 The "Jamele" style of chair is characterized by use of spalted oak. 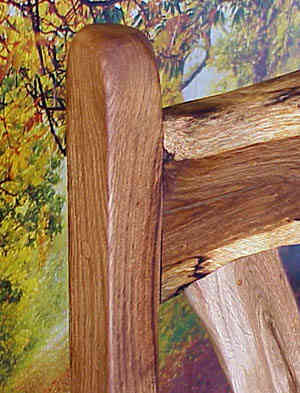 All joinery is a double locking dowel technique. It WON'T come apart! There was a crooked chair. But it's NOT crooked. It only looks that way. This rustic chair sets very comfortable. Is large with a 20 inch wide seat. 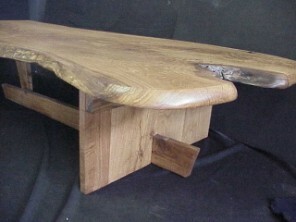 The seat and back are contoured by hand to fit and feel comfortable. 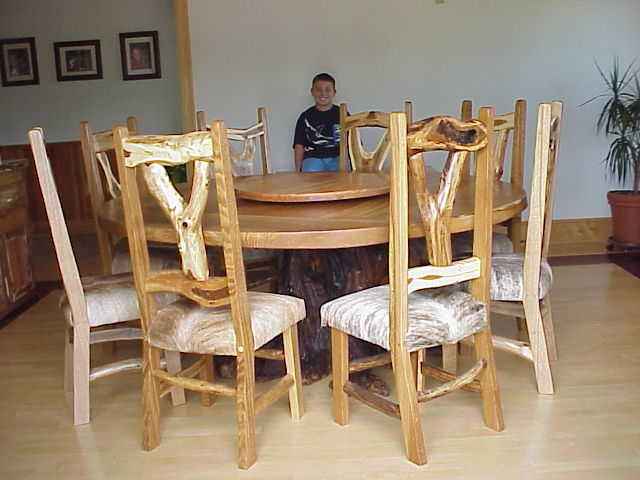 Each chair is carved until the comfort task is accomplished and includes a lower lumbar back support. It is about a one hour comfort chair. Padded, upholstered, seats increases this comfort time to 2 and 3 hours. Wedged glue and dowel joinery Double locking dowel joinery. There was a crooked chair. But, it's not.